Impressions have traditionally involved making a mold of your teeth using trays filled with a soft, messy, and often bad-tasting material that would harden around the patients’ teeth and gums, creating a precise model that is then used by the doctors and the lab to plan treatment and create final restorations. 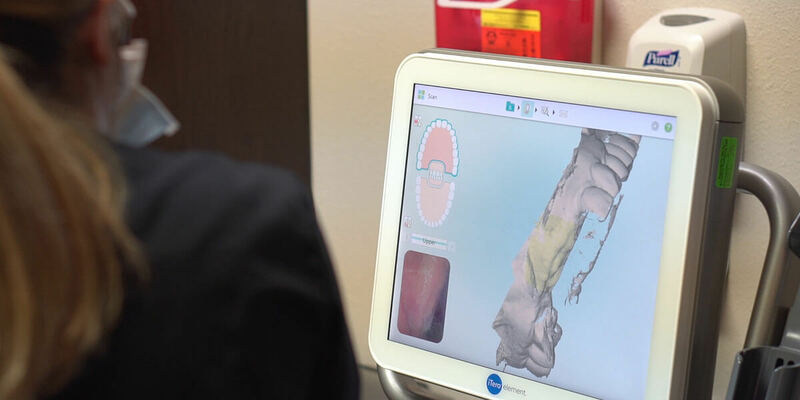 The digital intraoral scanner provides a new, comfortable, and precise way for our office to take digital impressions of patients’ teeth. Taking accurate impressions of a patient’s teeth is a highly important part of a large number of dental and orthodontic procedures.